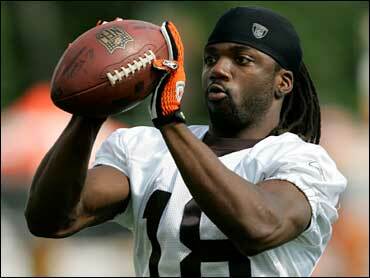 Cleveland Browns wide receiver Donte' Stallworth is going to serve 30 days in jail after pleading guilty in Florida to a DUI manslaughter charge. The plea deal announced Tuesday calls for the 28-year-old Stallworth to also serve 10 years' probation and do 1,000 community service hours for killing a pedestrian he hit with his car. Stallworth had faced up to 15 years in prison. Police say Stallworth was drinking at a hotel bar before the March 14 crash that killed 59-year-old construction worker Mario Reyes. Tests showed Stallworth's blood-alcohol content was .126.